Contact the ARIZONA DIVE SHOP to sign up for a Discover Scuba Diving program and get a Discover Scuba Diving Participant Guide. Your Participant Guide explains the experience and lets you pre-study the safety rules and skill techniques your dive professional will review with you. You’ll also learn about opportunities to become part of the scuba community after you complete your underwater experience. Visit the ARIZONA DIVE SHOP to learn more about the gear you will need to start your adventures in Discover Scuba Diving. Bubblemaker is as fun as it sounds – a chance for kids to blow bubbles by scuba diving. Children who are at least 8 years old can use scuba gear to breathe underwater and swim around in shallow water. Have a party or celebrate a birthday by throwing a memorable, exciting Bubblemaker event with friends and family at the ARIZONA DIVE SHOP. Contact the ARIZONA DIVE SHOP to schedule a Bubblemaker program or to organize a Bubblemaker party. The Bubblemaker Crew-Pak contains mementos of the experience and is full of fun surprises, such as a kid-sized beach towel, logbook, certificate, temporary tattoo, decal and the adorable and popular Bubblemaker water toy. Adults love them, too. In the Bubblemaker program, participants get a basic introduction to how to use scuba gear, how to clear a regulator and mask, and an overview of breathing do’s and don’ts. The ARIZONA DIVE SHOP will advise you about anything else you need. Contact the ARIZONA DIVE SHOP to enroll in the program and get started with a PADI Seal Team Crew-Pak. Your pak includes everything a PADI Seal Team Member needs to prepare for AquaMissions including a fun video, activity book with puzzles, and log book pages to track your adventures. Visit the ARIZONA DIVE SHOP to ask about gear and get advice about how to prepare from your PADI Seal Team Leader (a.k.a. PADI Instructor). 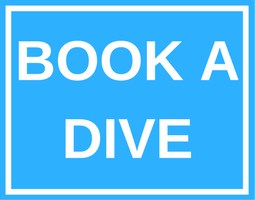 Enroll in a course at the ARIZONA DIVE SHOP, and get started earning your PADI Skin Diver certification. Ask your instructor about the PADI Discover the Underwater World video and companion piece – The Snorkeler’s Field Guide. Although not required for the course, the video has great tips that will come in handy when you hit the water and the field guide covers different underwater environments along with common aquatic life. Check with the ARIZONA DIVE SHOP about the gear you’ll need for this course and get advice about skin diving from your PADI Professional. Check with the ARIZONA DIVE SHOP about the gear you’ll use during this course and get advice about everything you need from your PADI Instructor. There are other home-study materials you can choose from including the Open Water Diver TouchTM (a tablet app) and the Open Water Diver Manual and Open Water Diver Video (a book and DVD package). Stop by the ARIZONA DIVE SHOP to enroll in the course, get your materials and start reading the book and watching the video. Your PADI Instructor will meet with you to schedule knowledge review sessions, confined water and open water dives. Check with the ARIZONA DIVE SHOP to get advice about everything you need for your diving adventures. You can also choose to work through the Scuba Tune-up Guidebook – a workbook that refreshes and tests your knowledge through short quizzes. Stop by the ARIZONA DIVE SHOP to enroll in Scuba Review and get your guidebook. You’ll use basic scuba gear, including a mask, snorkel, fins, regulator, BCD, dive computer and a scuba tank. The exposure protection you need will depend on the pool or confined water dive site you’ll visit. The ARIZONA DIVE SHOP staff will explain other equipment you may need for your refresher. You can also choose to read the Adventures in Diving manual and watch the Adventures in Diving video (a book and DVD package). Stop by the ARIZONA DIVE SHOP to enroll in the course, get your materials and start learning. Your PADI Instructor will meet with you to schedule knowledge review sessions along with your Adventure Dives. Visit the ARIZONA DIVE SHOP to learn more about the gear you will need to start your adventures in the Advanced Open Water Diver course. If you prefer, you can choose to study with the Rescue Diver Manual and watch the Rescue Diver Video (a book and DVD package). Go to the ARIZONA DIVE SHOP to enroll in the course, get your materials and start learning. Your PADI Instructor will meet with you to schedule knowledge review sessions along with your rescue exercises and scenarios. Check with the ARIZONA DIVE SHOP about starting your journey toward becoming a PADI Master Scuba Diver and continuing your diving adventures. Another option is to study by reading the Divemaster Manual and watching the Divemaster Video (a book and DVD package). Visit the ARIZONA DIVE SHOP to enroll in the course and get your Divemaster Crew-Pak, which also includes other reference materials – like the PADI Instructor Manual and The Encyclopedia of Recreational Diving – that you’ll need during the course. Check with the ARIZONA DIVE SHOP to get advice about everything you’ll need as a dive pro.